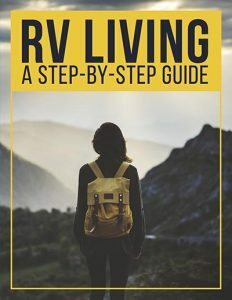 For most people, the words RV and wheelchair accessible, do not go hand in hand. That is, unless you are David Sherrer. David is on a four year journey from sea to shining sea. He plans to enlighten the RV industry about the needs of disabled citizens. 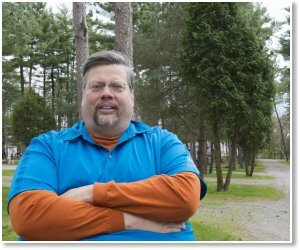 Whether he is visiting a campground, a manufacturer, or a supplier, David Sherrer wants everyone to be aware of the needs of the disabled population. In America, some 20% of the population suffer from various forms of disability. 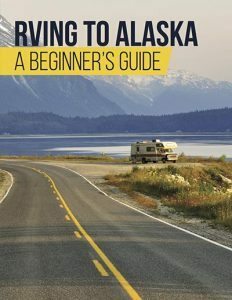 This gives them virtually no chance to go camping in a traditional RV. Sherrer, who was shot three times and rendered a paraplegic, knows how hard it is to enjoy the great outdoors. That’s why today he travels in his 2005 Wildwood LE 29 FBSRV toy hauler, dubbed the Qchair. He’s on a mission to spread the message of change. There are a few simple changes the RV industry could make to turn traditional RVs more handicap accessible. Changes such as using twist style door handles instead of lever style handles. 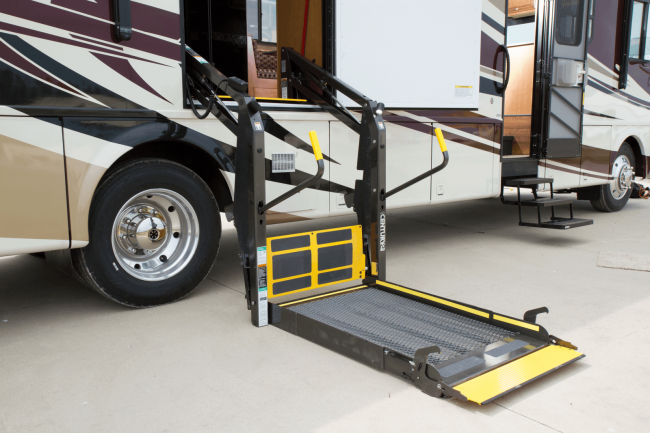 This one change alone would help people with disabilities enter and exit their rig with ease. Another change that would help those in wheelchairs who use the ramp in their toy hauler, is to make the the door between the garage and the living space wider. 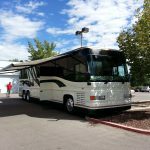 According to Sherrer, there are many business opportunities for RV suppliers who are willing to think outside the box and market to the other 20%. There are a few companies who make specialized units for the handicapped. One such company is Newmar. The Newmar Canyon Star offers a wheelchair accessible floor plan with a two power chair lift, and handrails for safety and support. The Canyon Star plan 3911 features a 30-inch wide path from front to back and uses the slide outs to help open the living, kitchen and dining space. The bathroom offers a roll in shower and grab bars. This coach is ADA approved, and is one of the only completely wheelchair accessible units in the industry today. David Sherrer has received a lot of support for his mission. With the help of several sponsors he was able to convert his toy hauler into a useable living unit. If you’d like to learn more about the Qchair Traveler and David Sherrer’s mission, visit his website, Qchair’s Traveler and take a look at this video. What do you think? Should the RV industry offer more options for the disabled? What changes would you like to see? 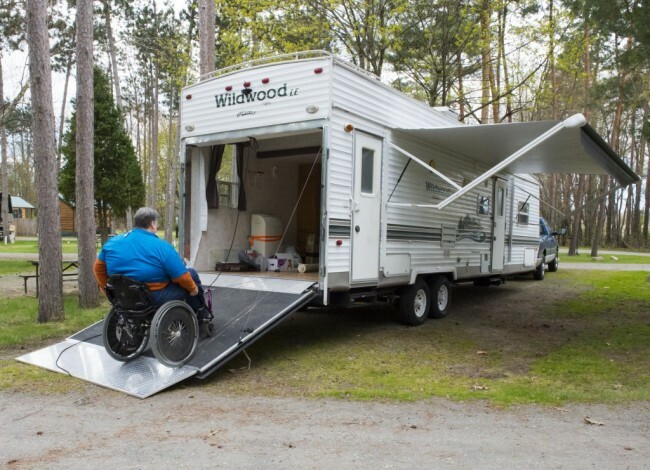 Do you know of other RV’s that are handicap accessible? Want to share this story? PLEASE DO. Help us spread the word by tweeting, pinning, liking and sharing.